Cancer research is an evolving field uncovering new details into mechanisms driving tumor formation, growth, and metastasis. Miltenyi Biotec offers various tumor dissociation products to obtain viable single cells suspensions from tumor tissue with retained cell surface epitopes. 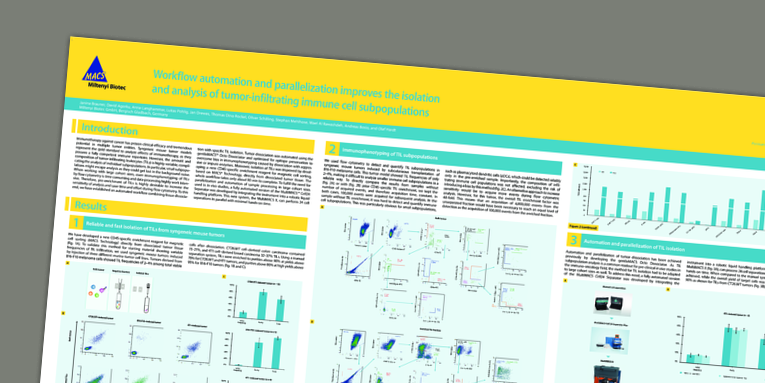 The latest innovations have been in the isolation of cell populations of the tumor microenvironment as well as isolation and analysis of exosomes.